Feast your eyes on the 200+ wines described below. Australia can offer the discerning wine drinker so much variety. Forget the cheap and not especially cheerful. 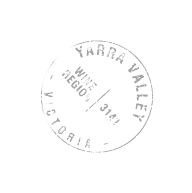 There are uniquely Australian classics and many a family-owned outfit that is continuing to produce fine wine but, perhaps even more excitingly, there is also a raft of new styles, many of them made by a new generation with new ideas – echoing developments in other southern hemisphere wine-producing countries. I examine some of these trends in the provocatively-entitled The new Pulignys of Australia, and will be describing the current new releases from flagship producer Penfolds very soon. Perhaps the best news, however, is that the Australian dollar has weakened so that prices have come or are coming down. See also Max Allen’s recent column on the current state of Australian wine organisation. Very fresh and spicy nose. Sweet start and lovely texture. Not a step wrong. Amazing to be able to enjoy it now. It’s what you want Margaux to be. Dry finish and very neat and confident. The opposite of brash. Called Diana Madeline from 2001. Vanya started in 1988 and Di was very much around. Warm vintage. Dark ruby with a rusty rim. Big, sweet and dusty. Round, dusty balsam. Sweet and somehow rather Italianate. Some dustiness. Quarter century old! Still very subtle. Lightly tarry. Very clean finish. Leesy and just a hint of struck match. Refined lemon fruit and some creaminess. Very vibrant and pure. Great balance. So neat, composed and beautifully harmonious. Pale apricot colour. Light peachy nose. Very tangy. Some impression of sweetness. Very vibrant and characterful. Good lift to it. Not too extreme. Vanya Cullen makes it to ‘have fun’. Long and vibrato. The produce of a very good vintage. Quite rich and ambitious on the nose. Pretty burgundian really. Spicy nose. Lots of substance and lots of acidity. A really long-term player – but it no longer has the field to itself! Very rich but with wonderfully pure acidity. Mid crimson. Really racy and ‘mineral’ on the nose. So unlike the old Oz stereotypes! Very polished. Not ridiculously priced. Mid ruby. Very attractive scent. Quite a bit of evolution and rich interest but not at all sweet. Just at peak now with a few fine tannins remaining. Very pale greenish straw. Lots of waxiness and greenness on the palate. Still very youthful. Dark crimson. Very fresh, aromatic, sweet, perfumed red bordeaux nose. Bone dry. Not that long but lovely on the nose. Dark purplish crimson. A little raw on the nose. Intense. The ripe sweetness of the fruit is a shock after the Chave Hermitage just tasted. Smells a little minty/medicinal but lots of mulberry and blackberry. Rich and sweet on the palate too, with a touch of char, though I am sure it would taste less sweet in another context. Some vanilla sweetness on the finish and an aftertaste of spice. Long. Mid crimson. Lots of whole bunch ‘to keep it savoury’. Fresh and racy on the nose. Lots of chew but no chocolate nor alcohol – or just the tiniest bit of heat on the end. Not remotely like Châteauneuf! Very pale. Leesy nose and quite rich on the palate but then laced up with masses of acidity. A tad dry on the end. Great tingle. Lightly waxy nose, the merest hint of varnish, and then very firm with a greenish streak in the undoubted fruit. Sweet, fun, with a powdery finish. Very vibrant fruit – much more interesting than I was expecting! Long. Not that much acidity but good grip. A hint of grapefruit peel. In the blossom spectrum. Bravo! Herbal nose. Bone dry. Real tingle factor. Good matching of variety and place! Hint of dill? Very firm finish. Correct and fresh. Green streaks throughout. This is quite an age for a non top-of-the-line Chardonnay! Very crystalline but it falls away just a little on the end. Organic. Surprisingly strong tertiary aromas already. Kerosene as well as lime. Very crisp, almost tart. It may be the context but I find this a bit masochistic – acidity dominating the fruit. I was more impressed when I tasted it 6 months ago.